Sonoma County is one of the best places to go wine tasting. It has much to offer the prospective tourist who visits: the Pacific Ocean and wonderful seafood, redwood forests, lakes for fishing and skiing, beautiful bed and breakfast inns, world-class restaurants, and of course wineries! As with any wine tasting trip, the more you plan ahead the better off you are. Frequently, wineries have special requirements for tasting (by appointment, no large groups, etc) and some Sonoma wineries are not even open to the public, so definitely call ahead. It's also handy to get a map, which you can do beforehand by going to a few websites, such as Wine Road, where you can get a map of the areas and plan ahead where you want to go. It's the most effective way to plan your route so you're not backtracking and wasting time driving. 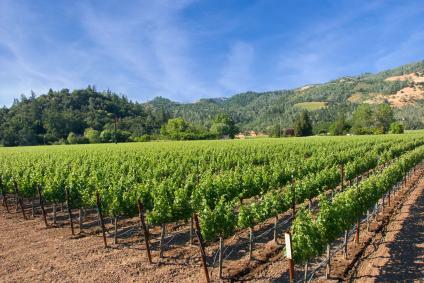 Check out California Wine Tour to read about more tips for wine tasting. It would take a long time to list all Sonoma wineries here, but here are some of the best that Sonoma has to offer. Korbel-Almost everyone has heard of Korbel Champagne Cellars, which resides in the heart of the Russian River Valley. It's a beautiful historic facility and the tours are very informative for the novice wine drinker. They also have a deli on-site in case you get the munchies. Hartford Winery-This is a beautiful winery nestled into the hills of the Russian River making fantastic Pinot Noirs, Chardonnays and a few Zinfandels. During the Fall it's an absolutely stunning drive to get there with all the leaves turning colors. J Vineyards and Winery-Judy Jordan (daughter of Tom Jordan of Jordan Winery) started this winery/sparkling wine house with the intent of serving her wines with food. To this day the winery showcases its wines with food pairings made on premises by the chef. Ridge/Lytton Springs- Ridge has been a pioneer in the California Zinfandel since the winemaker, Paul Draper, started making wines back in 1969. The Lytton Springs winery is in Dry Creek Valley, and the building is 100% straw bale construction. A solar array powers the entire facility with the intent of being environmentally friendly. Robert Young- Up in Alexander Valley Robert Young planted grapes many years ago and the name became famous when other wineries made wine from his grapes. Now, years later, he's making his own wines from his grapes. They pour everything, including their Scion (high-end Bordeaux blend). Ferrari-Carano- Ferrari-Carano winery is perhaps one of the most beautiful in Sonoma County. It is in the middle of Dry Creek Valley, and is a great place to take visitors for a stroll of the gardens and grounds. You can also check out the cellar downstairs and see all the barrels stored under the ground. Front Street Five-This is a group of small local wineries who share a small area off the Russian River in Healdsburg. The wineries are Huntington Cellars, Holdredge, Sapphire Hill, and Davis Family. It's a great opportunity to try wines from small producers and be able to try a variety without having to get in your car between each stop. Lynmar Winery- This winery, started by Lyn Fritz, is (at this moment) the newest facility in Sonoma County. The winery has been around for a while, but recently they have built caves and a new hospitality center that is gorgeous, set in the Russian River overlooking the Santa Rosa Laguna. The wine tasting is a sit down experience. You get served the wines by a specialist who brings them to your table and chats with you. Known for their Pinot Noir and Chardonnay. Ask the personnel at the wineries you visit for their recommendations. They have the most current, inside knowledge to the other wineries in the area, so tap that resource. You might discover some new ones that you can take your friends too. Enjoy the experience!